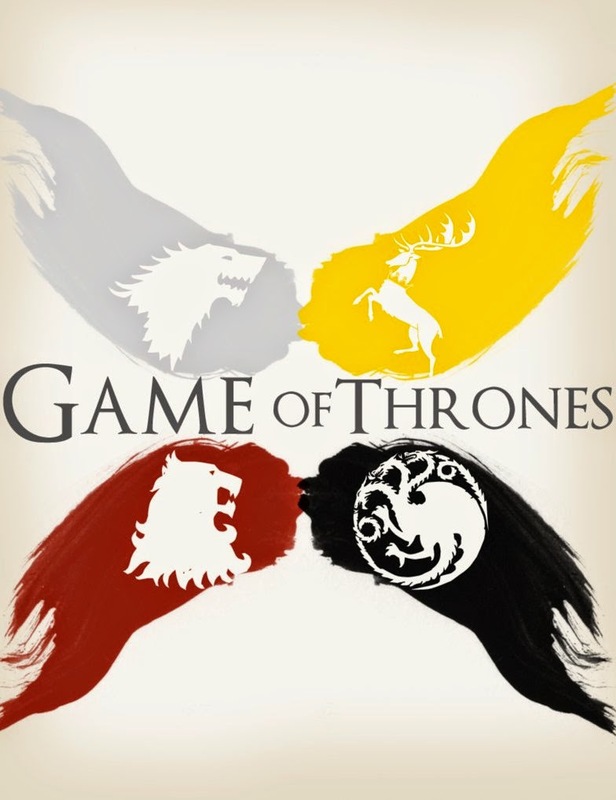 The Lannisters, the Night’s Watch, and the Red Wedding—does this sound familiar to you? In case you’ve been living in a cave, Season 5 of "Game of Thrones" recently premiered with the launch of HBONow and I could not wait for the season premiere this past Sunday. As many of you know, the show is captivating in every respect. The music, the characters, the scenery, and the costumes—how can you not get caught up in the world of the Seven Kingdoms?! Even though “Game of Thrones” is now a world-wide phenomenon, it wasn’t an easy path for George R. R. Martin, the author of A Song of Ice and Fire, to become the success he is today. Martin started his career by writing science fiction short stories and books. His fourth book, The Armageddon Rag, wasn’t a commercial success. This led Martin to seek a career in television. Martin then worked as a writer for “The Twilight Zone” and “Beauty and the Beast.” During this time, Martin continued to write movie scripts and science fiction books. In a recent interview with Barbara Walters, Martin shared that, while he received praise for several scripts he had written, producers thought the scripts were not feasible from a business perspective. If you’re an avid “Game of Thrones” viewer, you know that Martin invents intensely detailed fictional worlds that would be costly to create. Martin decided to memorialize these fictional worlds in books. This way, no one could limit his imagination or how extensively he described these fictional worlds. Determine what is essential and non-essential to your product or service. Understand what you are willing to give up for financing or greater commercial success. Stay true to yourself and continue to differentiate your product or service. If Martin had modified his scripts, his fictional worlds would be less unique and less likely to stand out in the saturated commercial book and television market. As they say on “Shark Tank,” is your product or service disruptive to the marketplace? Trust your gut and be prudent about what advice you take from others. As “Game of Thrones” has been so successful, the series will outpace Martin’s production of the books. HBO has stated that nothing will stop the series from finishing its version of A Song of Ice and Fire. While HBO’s concern is focused on the bottom line, avid fans (like myself) care more about maintaining the authenticity of Martin’s vision. It is always a challenge to balance the uniqueness of a product or service and keeping costs low. You should endeavor, like HBO, to maintaining control, authenticity, and the artistry of your product without giving up its differentiating factors due to financial constraints. That’s why you know where I will be next Sunday at 8 p.m….